How to Pass Professional Scrum Product Owner (PSPO I) Certification? Alright, so another long due certification (and more importantly post on this topic) done! I wrote an extensive article on Passing Professional Scrum Master article a few years back. 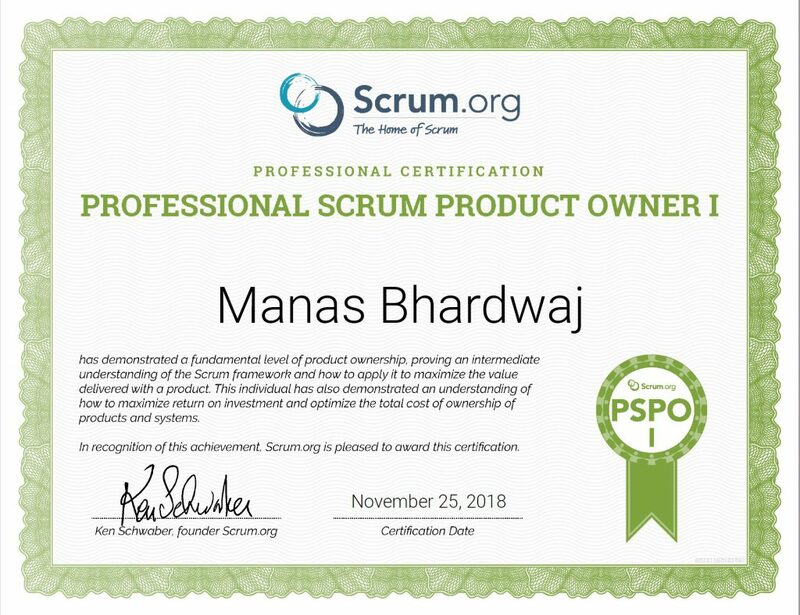 And this time, the reason for giving the PSPO exam on the first place to refresh the content of the Scrum Guide but also to have a perspective from the other side of Scrum Master and/or Development Team. Thus, Professional Scrum Product Owner. I would strongly advise to try the Professional Scrum Product Owner “Open Assessment” exam till the time you are able to 100% score multiple times in a row. The Scrum Master Training Manual from Frank Turley and Nader K. Rad is another resource guide which compliments the original Scrum Guide. It has a lot of practical examples which are important from the exam point of view. One thing which I liked in the manual is the explanation of burn-down charts which is not explicit in the Scrum Guide. And of course, it’s FREE! Although the exam is focused towards the Product Owners, it is important that the candidates understand different roles and framework for the complete development process. Thus, it might becomes handy to give a try on PSM Open Assessment as well. 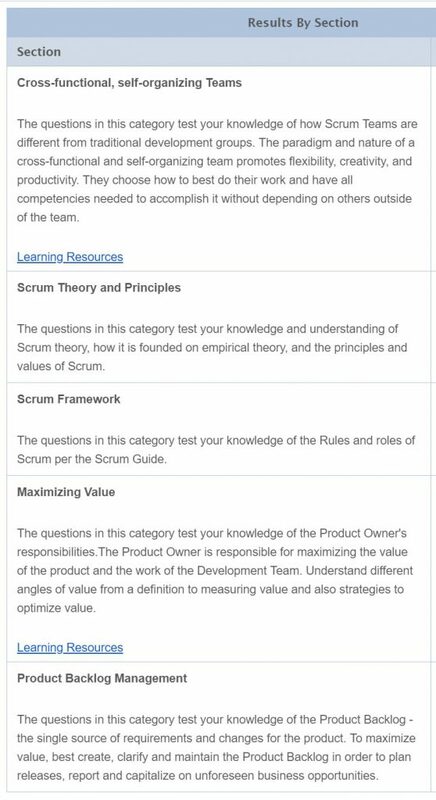 For those, who are interested to read further can refer to my earlier post on preparing and getting certified for Professional Scrum Master Exam. The benefit of giving both exams is that you get access to a bigger question set which might end up repeating in your final exam. Team at Management Plaza have done a good job of creating the simulation exam for both PSPO as well PSM exam among others which might be very handy in preparation. Remember that the exam passing score is “high”. You need to score at-least 85% passing score to get certified and every single wrong answer can do some damage. So, take your time before you finalize the answer. Also note that you don’t have a lot of time to finish the exam. My approach was to quickly read the question and answer it straight away if I am confident. In case of a doubt, mark the question to review later and move on. You can give the exam from anywhere but ensure that you have a good internet connection and quiet place to focus on the exam. Once you buy the certificate credential, you can use the password for 7 days to give the exam. Once the exam is finished, you immediately get the result with your score and detailed report of sections where you scored respectively. See below, the different topics which are covered during the exam. If you have reached out till this section of this post then it’s a good chance that you are writing your PSPO certification very soon. If that is the case, good luck for the certification!